Heversham Hall lays just off the A6 in Heversham, and can be viewed from the road, from the A6, and from the B road that runs along the front of the property. The fragmentary masonry remains of a building can just be seen above the stone wall running parallel to the A6, although in Summer it's difficult to see this tiny scrap of wall. The site is split into three parts. 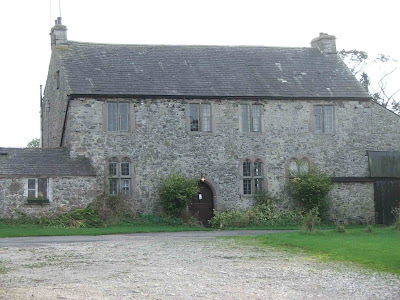 First off is the hall, still standing and inhabited, and built in the mid 14th century. Secondly, and of the same period, is the portion of wall, possibly once belonging to a small tower or solar block. The tower was probably built in 1348, and by 1540, was abandoned and probably dismantled or demolished. For some reason, the one free standing wall, measuring around 15 feet tall, by 10 feet wide with a small window, was retained, and still stands to the side of the hall. In all likely-hood, the masonry from the tower was re-used in the hall. The third part of the site, is the, as yet, unexplored earthworks in the field between the hall and the A6. Judging by the photo of the hall taken from the side of A6, the site looks as if it's possibly surrounded by the shallow remains of a ditch or possibly a shallow moat. Some documentary evidence points at this possibility, but there doesn't seem to have been any exploration of these features. 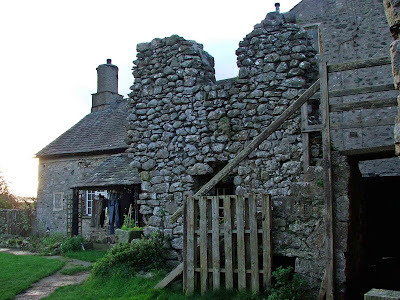 If this was a pele tower, it would have belonged to quite a large group of towers in the area, including Wraysholme, Arnside, Beetham, Burneside, Skelsmergh, Selside, Ubarrow, Godmond, Preston Patrick, Hazelslack and Hollin. The sheer number of these structures in the area is staggering, and many of them appear to be in good condition. 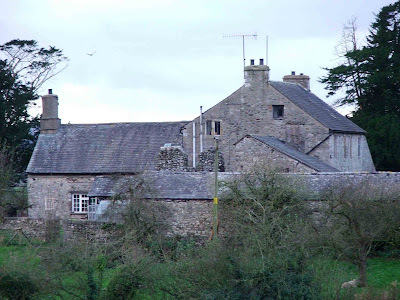 This is one of two in the area that consist solely of one simple scrap of wall...the other being Dalton Old Hall near Burton in Kendal. The hall, and possibly the tower, were built by the Wyndesores family, with the rebuild of the hall undertaken by the Buskell family in 1540. The tower is thought to have been abandoned at this time.